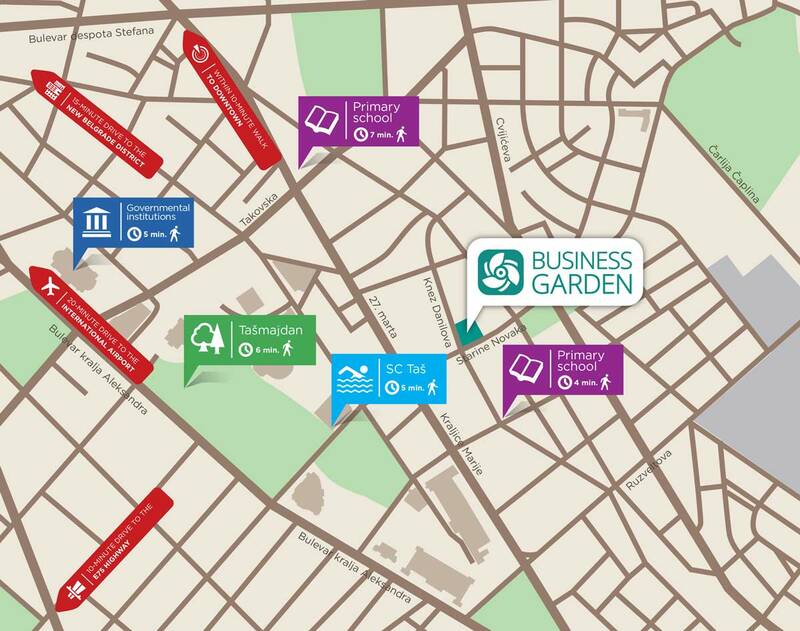 Business Garden is the ideal place for every successful business. Its technical and technological standards correspond to the needs of IT companies, law offices, auditing companies, marketing agencies or call centers. This is the only modern office building in the center of Belgrade that is part of the most popular condominium Central Garden, while also being completely independent conceptually and functionally, owing to its modern and sophisticated architectural design. Business Garden is a perfect business environment for those companies that value the professional needs of their employees and their working environment, which, if well organized, can boost their creativity, inspiration and motivation. Future tenants are offered ideal working conditions according to the highest standards, along with the benefits of its central city location and connectivity to all key governmental and diplomatic institutions, courts, New Belgrade Central Business District and main city arteries. Employees have access to parking spaces in the busiest city zone and their office space is flexible and adaptable to the various needs of the tenants, modelled upon designs embraced by the leading international companies. These are merely some of the benefits provided by this office tower. One of the main characteristics of Business Garden is its flexibility and adaptability to the needs of the tenants. Adapt your office space to the requirements of your business, so that it reflects the identity of your company. 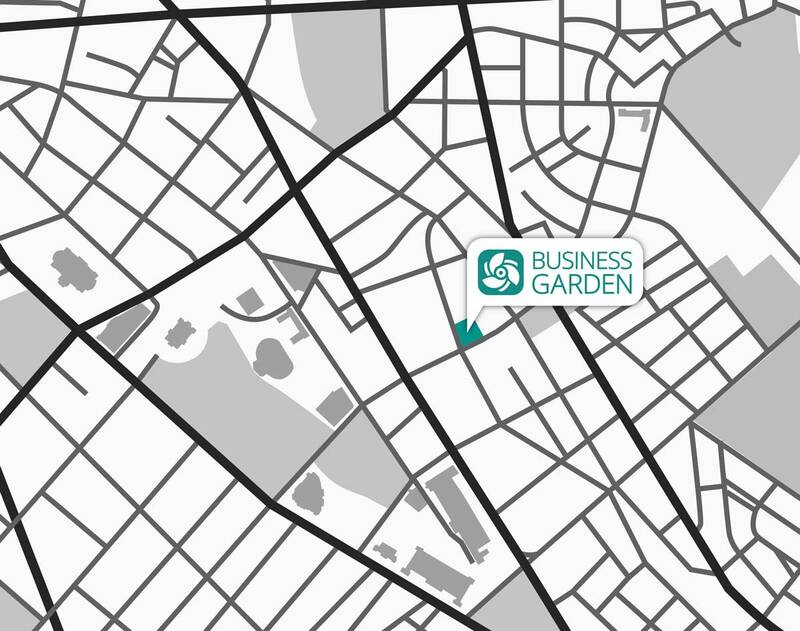 Business Garden is part of Central Garden condominium, featuring various retail facilities, shops and services on the ground floor, so that the tenants have everything they need during the day at arm’s length. Wanting to adapt as much as possible the modern business environment to the personal needs of the tenants from the widest possible range of various businesses, Business Garden will offer, in cooperation with the private kindergarten “Play” located in Ivankovačka Street, tailor-made kindergarten program for the employees working in Business Garden, offering pick up service, specialized groups for all age groups from toddlers to school kids, working hours dictated by the personal agenda of our dear tenants.